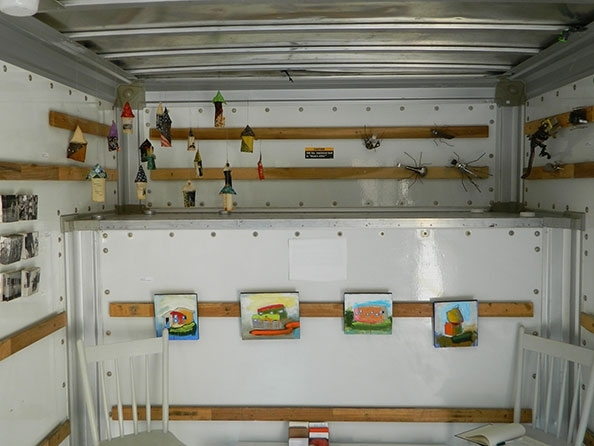 With what looks to be very little ceremony, art is displayed in a removal truck in Peterborough, Canada in 2012. Using the interior as found, it gives a certain 'real-world' feel to the space. 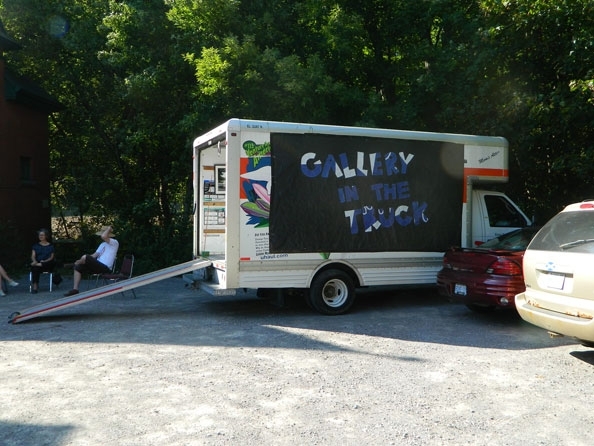 Plus, with the ramp, it is accessible to all!